Jodie is using Smore newsletters to spread the word online. 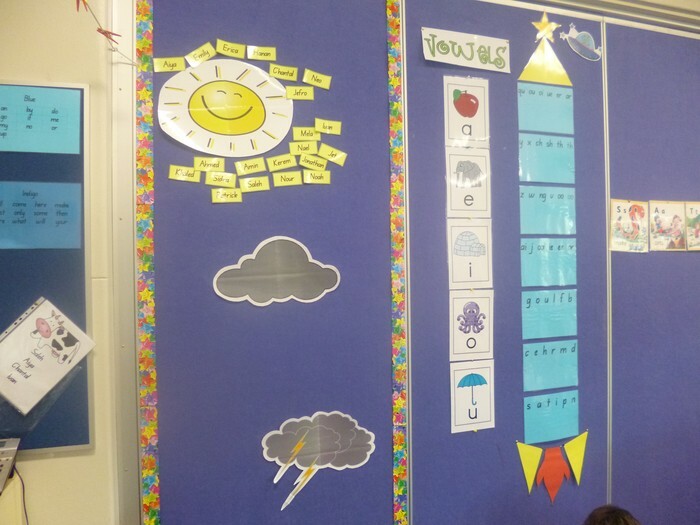 There are 22 students in K/1 Allen; 12 are in Kindergarten and 10 are in Year 1. We are a special class because we are two separate grades sharing the same room and teacher! 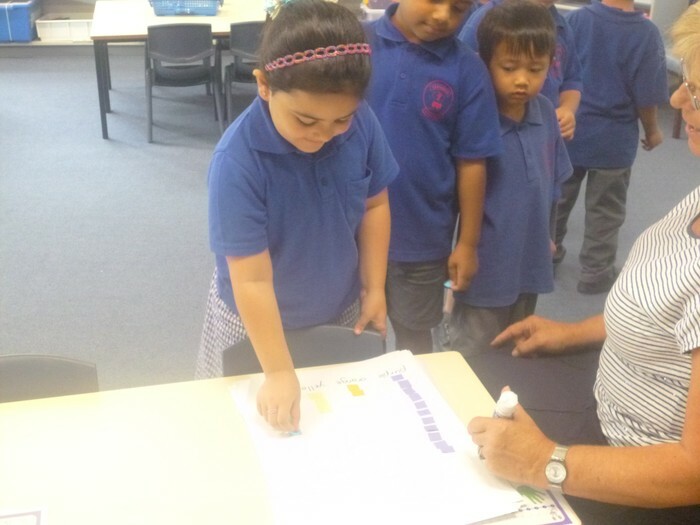 We are lucky because we get lots of support teachers that help us out. 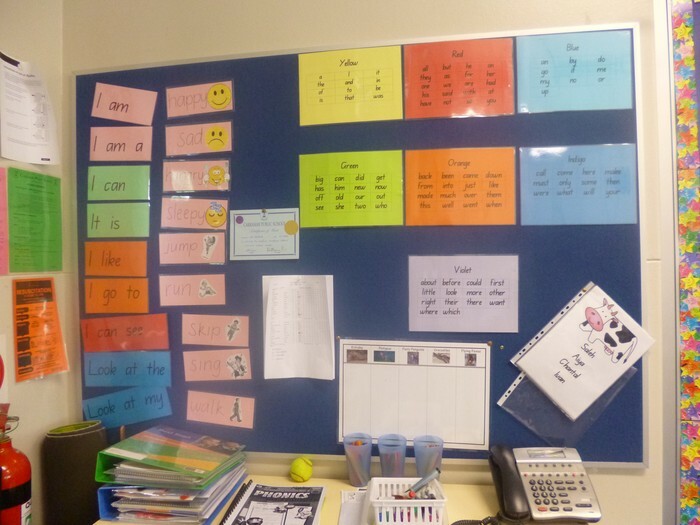 Mrs Welling comes in every Tuesday and Wednesday for Literacy, Miss Jung is in for Year 1 Spelling and HSIE as well as Kindergarten Science, Miss Stiles comes in every Thursday for Year 1 writing and finally, Mrs Gorz takes Year 1 Science and whole class PDHPE. This term, we are focusing on the author Pamela Allen. We are using her books in Literacy and Art. 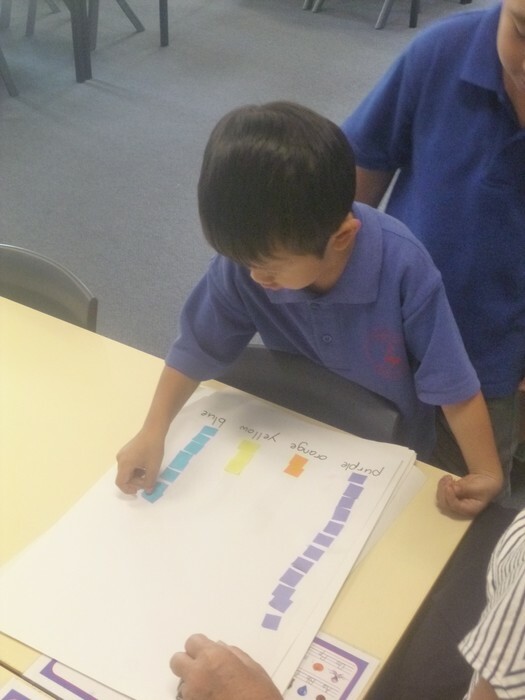 So far, we have read 'Who Sank the Boat?' and 'Fat Ferdie'. 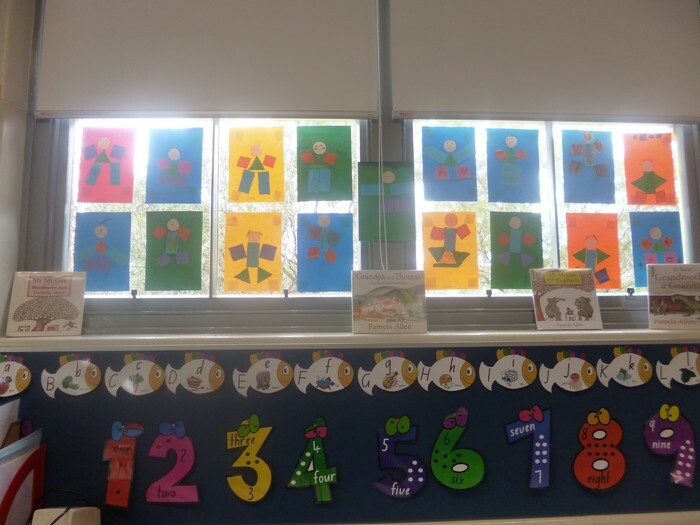 Here are some pictures from our classroom and Maths group with Mrs Mason. Here is Erica learning about data. 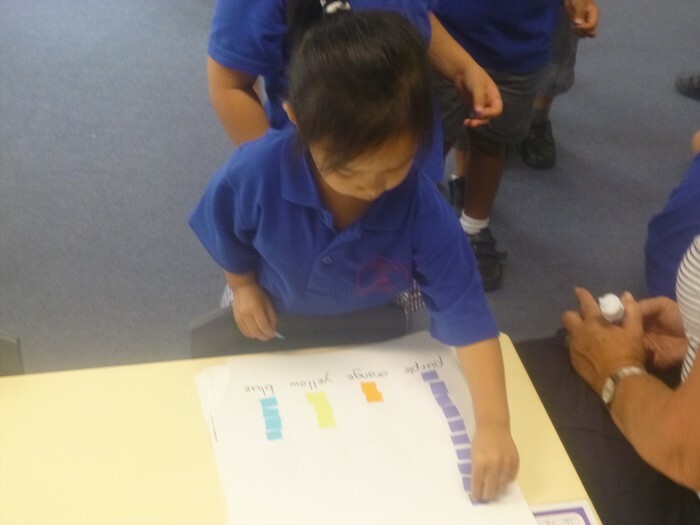 Here is Aiya classifying her coloured square. 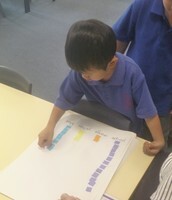 Here is Jonathan placing his blue square on the graph.